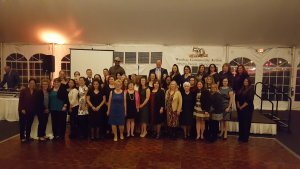 2016 marked Westbay Community Action’s 50th Anniversary providing services to Kent County residents.. We continue to celebrate the positive, sustainable outcomes in which we strive to empower the families of Kent County. Westbay remains a leader in Rhode Island and is an agency that assists individuals and families with achieving economic self-sufficiency. The mission of Westbay Community Action, Inc. is to assist economically disadvantaged individuals and families achieve and sustain self-sufficiency. 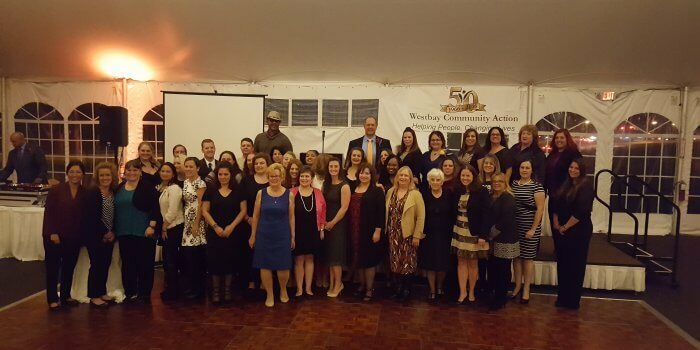 Westbay Community Action would like to thank all of our staff, volunteers, board members, funders and state and local legislatures that have supported us over the past 50 years and for those that continue to support and believe in what we do. Westbay will continue to be the Safety Net for the residents of Kent County and beyond. During 2016, Westbay received both local and national awards for its Healthy Work Wellness programs designed to assist staff with promoting healthy lifestyles. As we look ahead to 2017, Westbay will be looking at increasing capacity for individuals and families in areas of education, workforce development, health and nutrition. 2017 also will also be a year where Westbay will be launching its new logo, a logo that defines Westbay as an agency that provides strength to the community in which we reside while being a stable fixture for our community to turn to in times of crisis. Westbay would finally like to thank all the sponsors that made our 50th Anniversary Celebration one that will be remembered for years to come. Without your ongoing support many of the programs and services that we offer would not be available to Kent County. Thank you for being our partners for fighting poverty in Rhode Island.